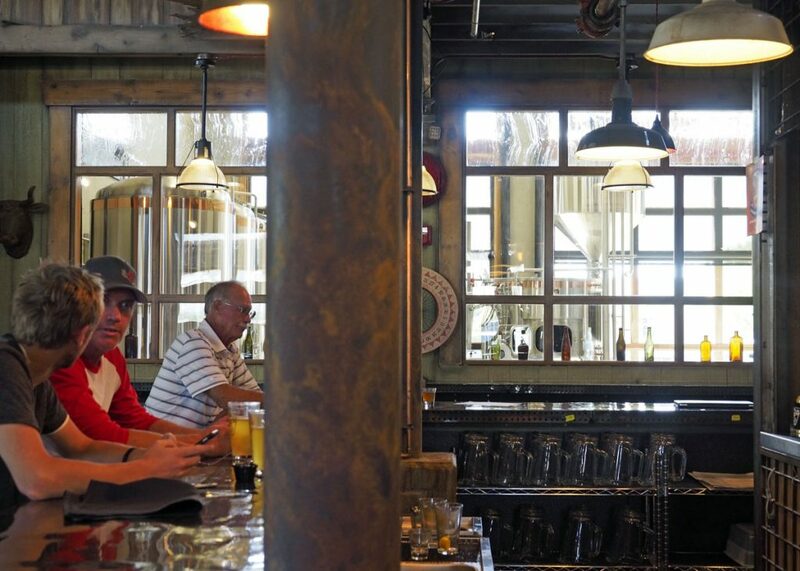 Beer lovers of Utah County have been praying for a brewery to open in the region for years. It’s been 139 years since a brewery existed there, and many thought it might never happen. Not while Mormon teetotalers make up the majority of the population. 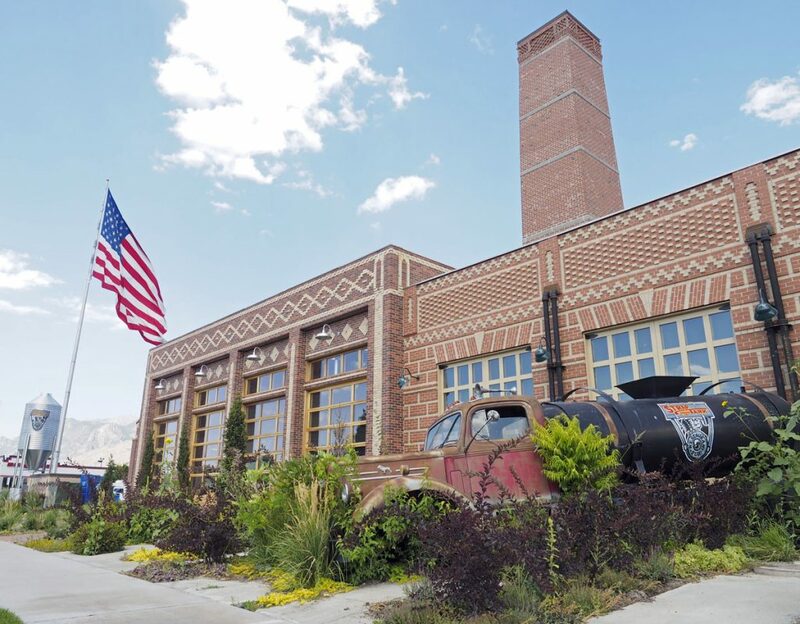 It looked like the pioneers hard at work over at Maple Mountain Brew Co. would be the first, but the daredevils of Strap Tank Brewing Company sped on by to win the race and the distinction of Utah County’s first modern-day brewery. Strap Tank Brewing Company in Springville, Utah opened its doors in June 2016. Motorcycle enthusiast, Rick Salisbury erected the brewery next to his Legends Motorcycle Emporium where he keeps several rare vintage motorcycles including a Strap Tank, one of Harley Davidson’s earliest models. 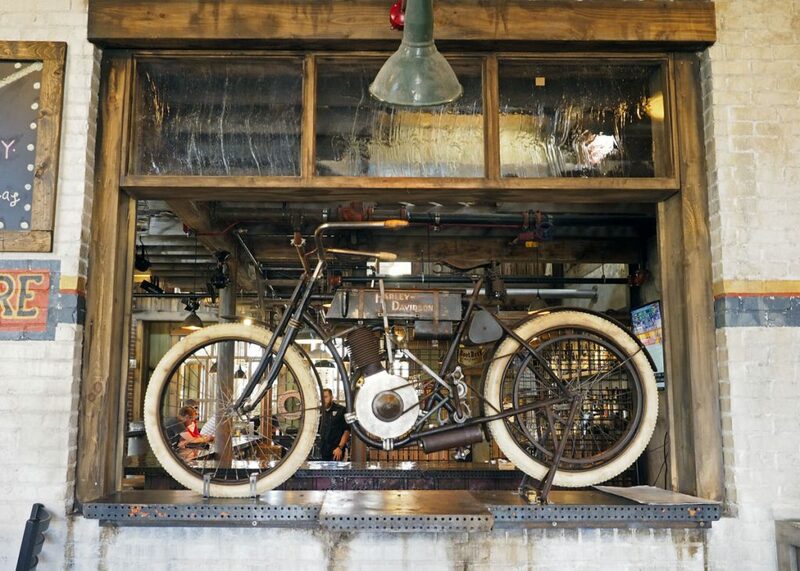 The brewery itself was constructed in the image of Harley Davidson’s original factory and no detail was spared. That’s an understatement. It’s stunning. 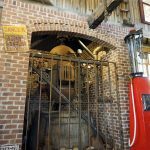 I can’t express how freakin’ cool this brewery is! Even religious locals will find reason to rejoice. My sister, a Springville resident, visited recently with her family. She and her husband were excited about a new family friendly restaurant in their small town, where few options exist. As practicing Mormons, they don’t drink, but they loved their experience! Utah is known for its numerous generic, sterile-looking chain restaurants. Strap Tank is the exact opposite of that. 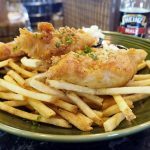 Not only is the food completely house made, but the building, inside and out, is customized right down to the tiniest of details. From the outside, the building looks historic; like it was built a hundred years ago. It is impressive with its beautiful mountain backdrop and protruding smoke stack. A rusted tanker truck sits out front on a landscaped “crumbling” driveway. 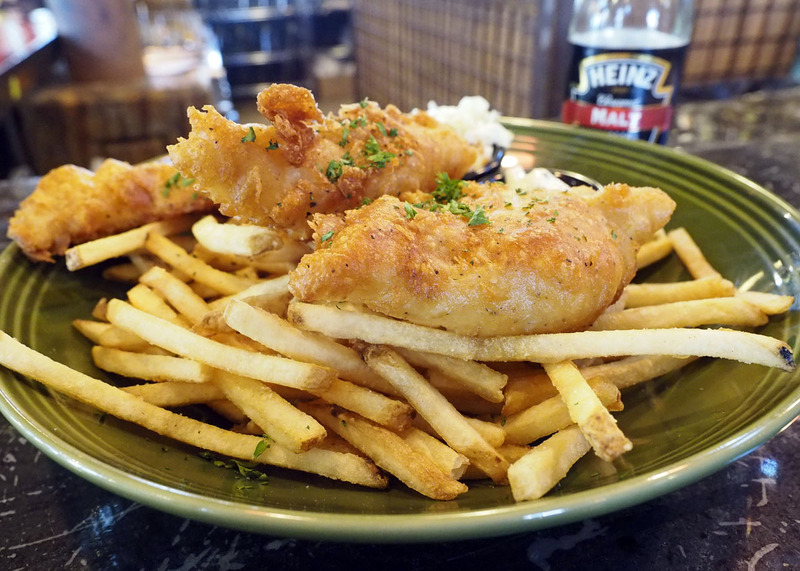 There is a relaxing patio next to rolling garage doors that open up the restaurant on lazy summer evenings. Then there’s the inside. Holy heck, what a visual shmorgishborg! My eyes must have looked like saucers trying to take everything in. 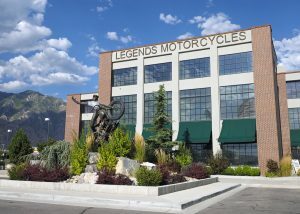 A replica of the Strap Tank motorcycle welcomes you as you walk through the doors. Antique pieces live everywhere you look, and they make up every functional aspect of the space. 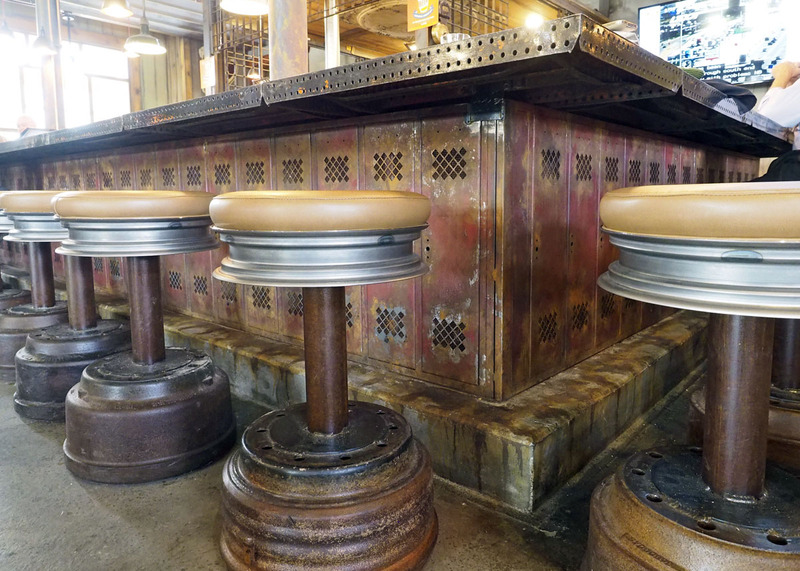 Panels of old lockers provide the structure of the bar while old wheel rims provide the base for the barstools. 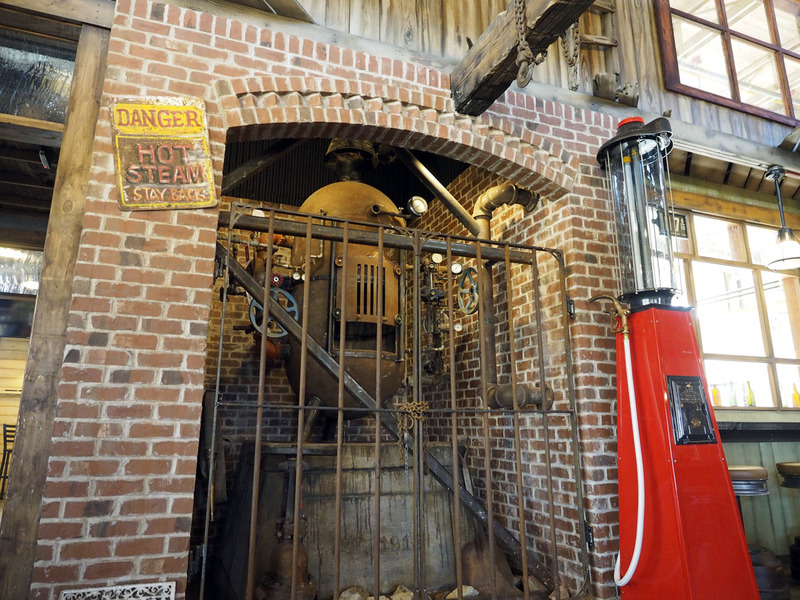 A rusty looking boiler will serve as a fireplace, delivering extra warmth during the winter months. 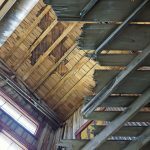 When you look up at the splintered planks of the ceiling, they are actually torn away in many places exposing the rafters high above along with corroded air ducts and pipes. Paint and distressing techniques were applied to every surface to create the look of age. 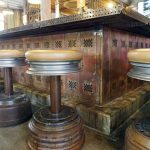 There are even drips of oil on the floors and walls as if it was really once a working factory. 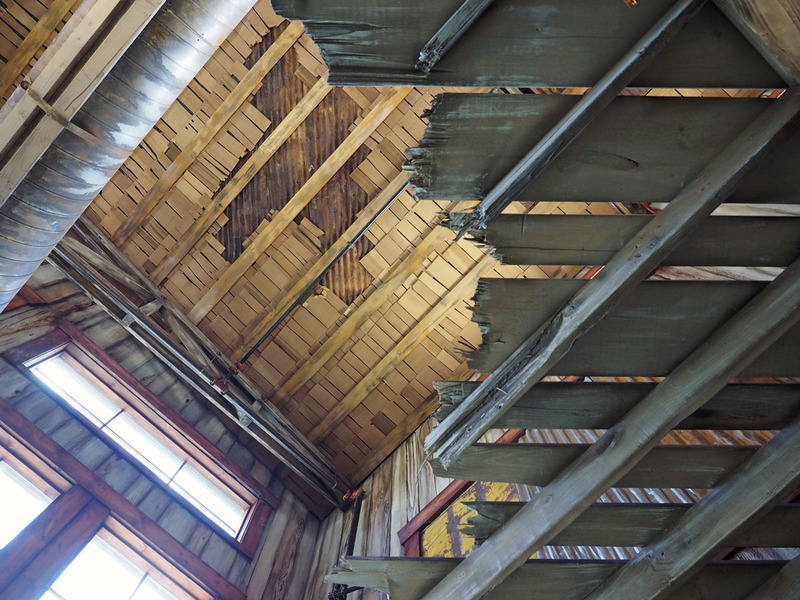 The windows into the inner sanctum of the brewery show you how the attention to detail didn’t end in the dining room. From the gorgeous copper accented tanks to the exquisite black and white tiled floor, it’s a world I wouldn’t mind spending some time in. That pleasure belongs to head brewer Mike Dymowski. 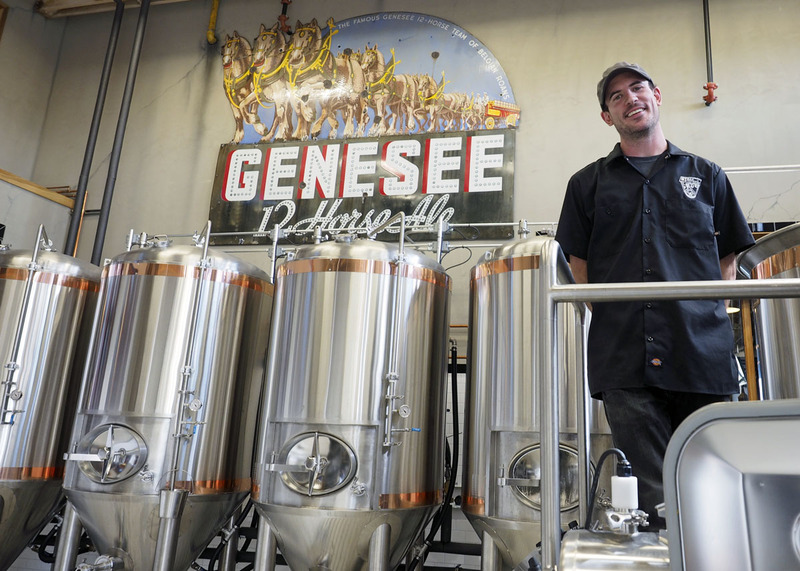 The enthusiastic young brewer is ready for a challenge, and he’s off to a good start. Strap Tank isn’t just a pretty package. The quality of the beer comes on strong to back it up. Dymowski hails from Austin, Texas, where the temperatures are warm. He prefers dryer beers with lighter body. The Sgt. 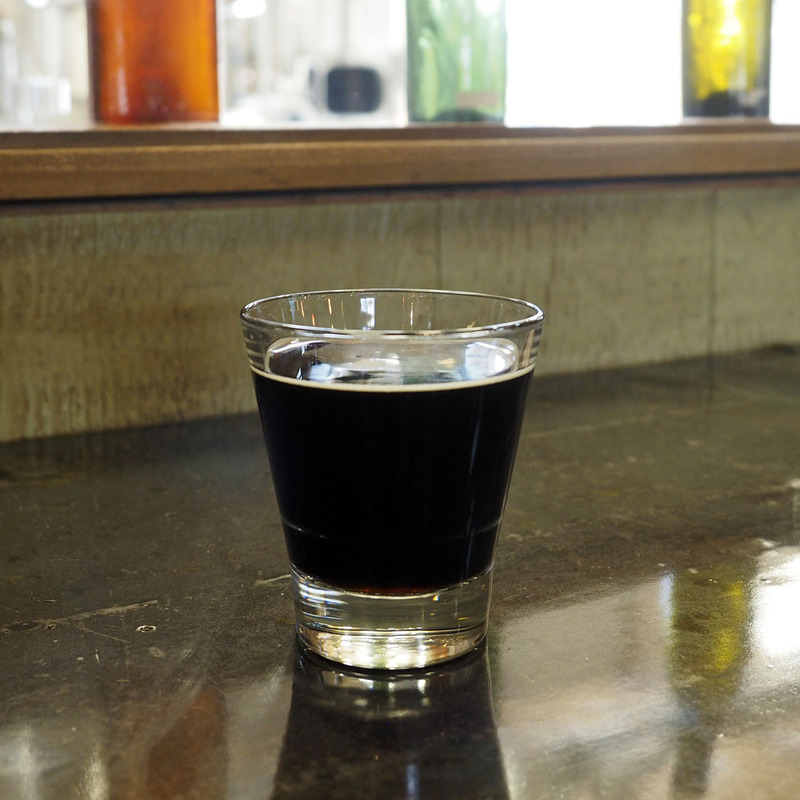 Holtz Dry Stout proves that you don’t need a heavy dark beer to get a big roasted flavor. Dymowski also favors hops that enhance the flavor and aroma of the beer. He adds more of them later in the boil and strives for minimal bitterness in the final product. The Sportster IPA is a fine example of a beer with vivid floral, tropical fruit notes, and a gentle bitter finish. 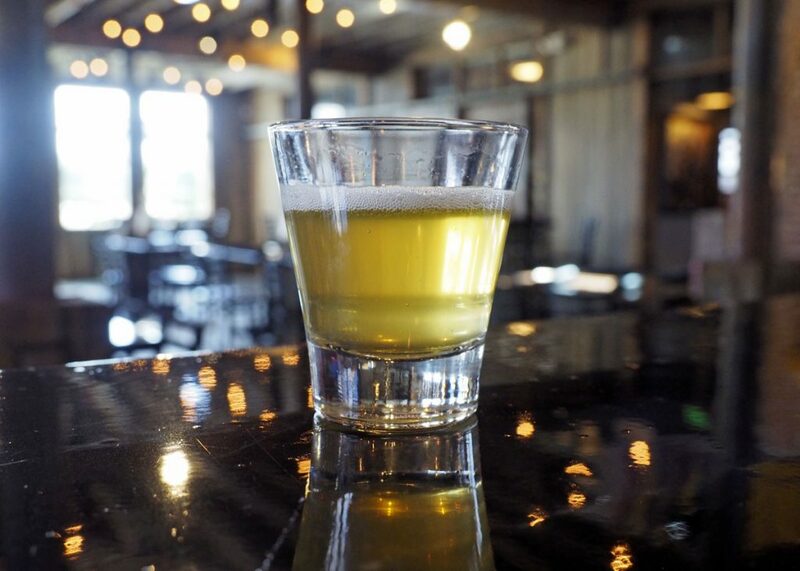 I was able to taste a new Lemongrass Ginger beer in the works, and was very impressed. This unique brew has a floral herbal tea-like flavor with a touch of ginger spice. 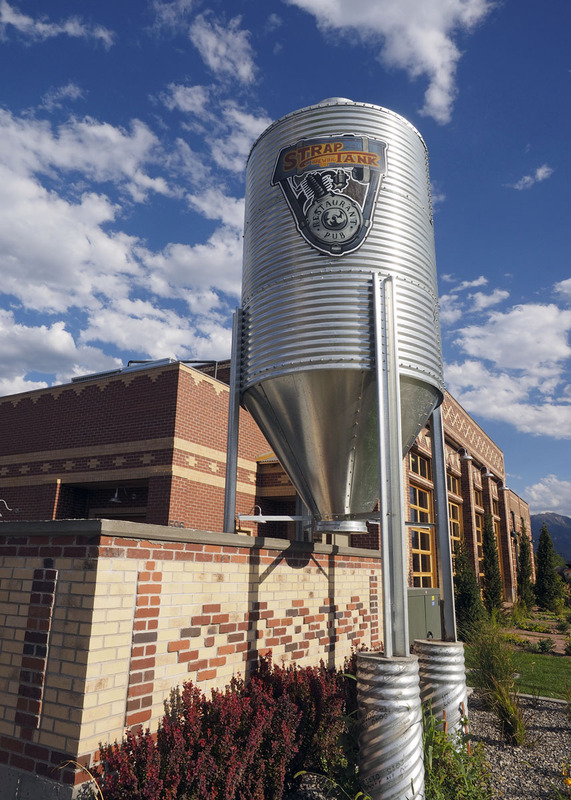 Brewing beer in Utah can be like brewing with one hand tied behind your back. The lower ABV requirements are just one of the challenges Dymowski is eager to take on. From what I can tell, he’s succeeding. 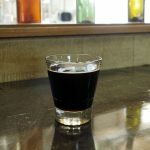 Every beer is thoughtfully crafted and well balanced with more flavor complexity than you might expect from a session beer. He even brewed a 1% beer (at Salisbury’s request), yet to be unveiled, and is happy with the way it turned out. Ultimately, working through challenges is what Dymowski hopes will make him better at his job. Interestingly, the brewery is equipped with a long draw draft system. Instead of being kegged, fresh beer is piped from the brite tanks in the cooler directly to the taps. While this preserves the integrity of the product, it also limits production. Dymowski can’t transfer new beer from the fermentation tank until patrons finish the beer already in the brite tank. Since they don’t currently have a bottling line, beer is served on draft only. 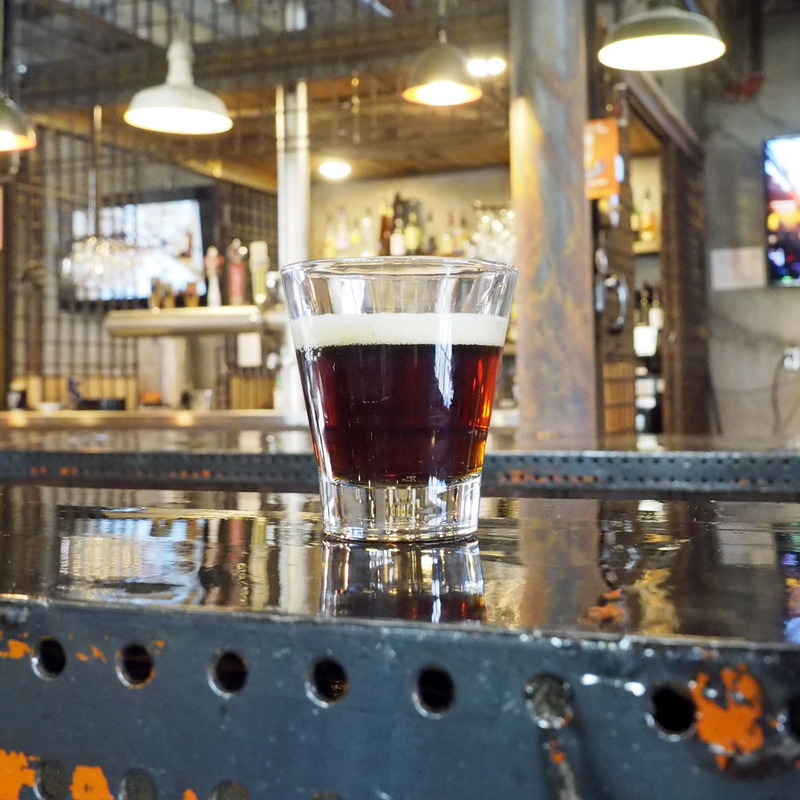 Strap Tank Brewing Company is more than just a brewery; it’s a destination. 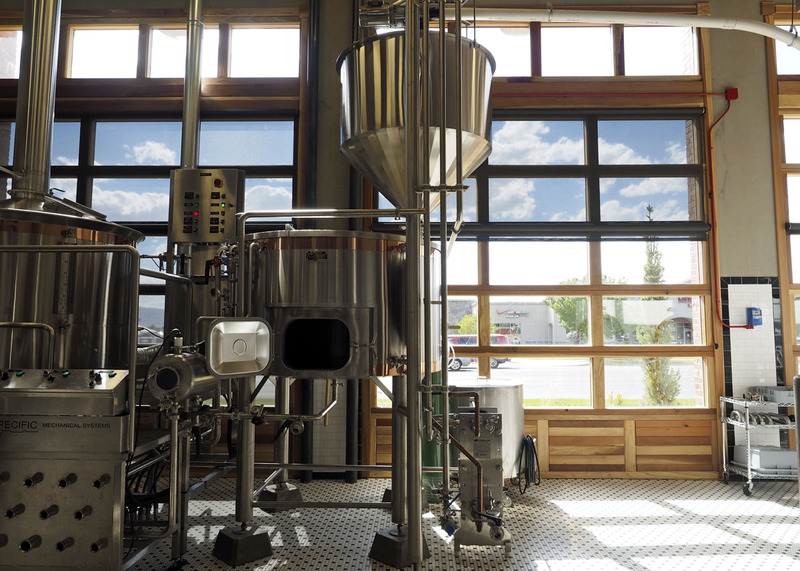 Breweries are traditionally vital centers of the community, something Strap Tank aspires to be. They have a little something for everyone. There is a private room for hosting a party or a meeting, and a separate space for those 21 and older to mix and mingle. They even host Paint Nite for those who like to get artsy. 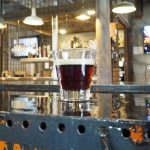 Harley Davidson fans will want to see Salisbury’s motorcycle collection next door, and the brewery makes a great compliment to that experience. Strap Tank Brewing Company is clear proof that God loves Utah County. Visit our Facebook Page for a full photo gallery.